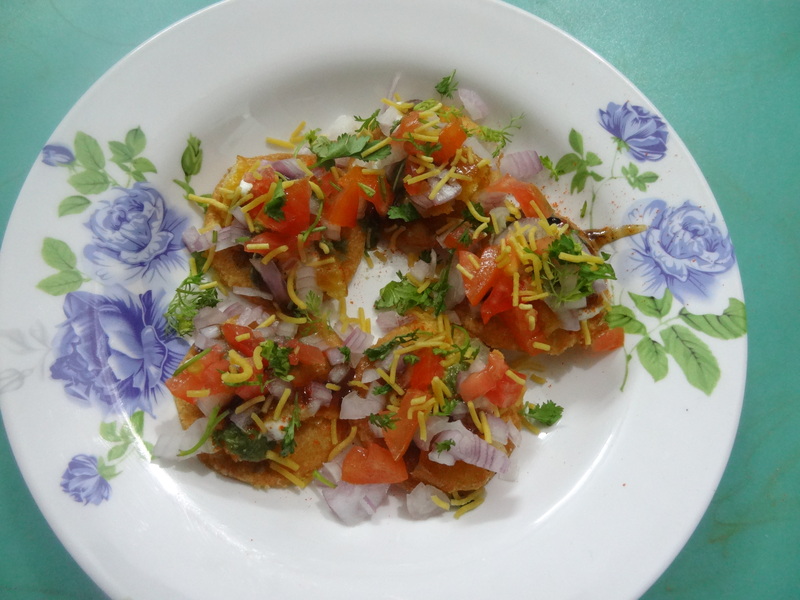 Lets see how to prepare sev puri.. 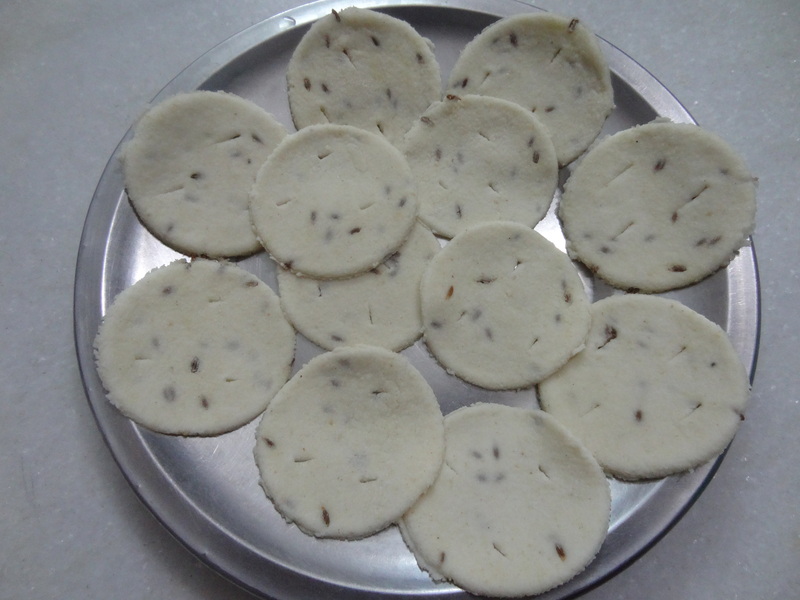 Mix Bombay rava, jeera, salt and 3 tsp oil with water and keep aside for one hour.. Meanwhile, prepare Green chutney and sweet chutney. For green chutney, grind coriander, green chillies adding salt into a fine paste.. Keep aside.. Now to the tamarind juice, add salt, chilly powder, jaggery and cook till it becomes little thick. Keep aside. Heat oil in a pan for deep frying puris. Press Bombay rava atta, press with rolling pin as you do for poori. 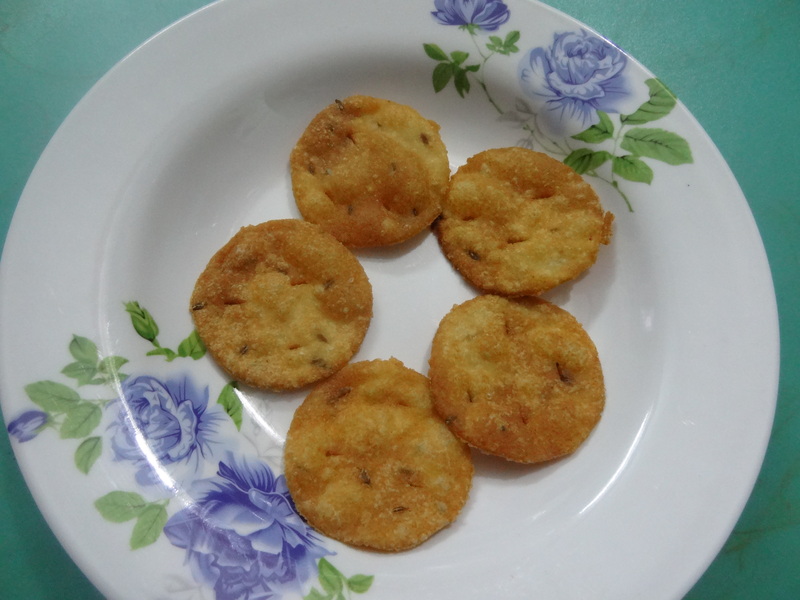 With a spoon or knife just make 1 or 2 cuts on the small pooris and deep fry them till golden brown. Arrange the pooris in a plate. Place a small amount of mashed potato on all the pooris, sprinkle little salt over it. Now add chopped onions, tomatoes, green chutney and sweet chutney one by one over it. Add little curd if desired. Finally garnish with some more coriander leaves and sev mixture and serve immediately. A Cup of coffee accompanied with this is very refreshing.